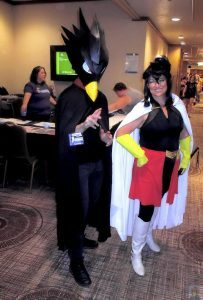 Kumoricon Lite was a one-day Min anime convention held at the Lloyds’ Center Double Tree hotel. Unlike 2015, it was held in the main hotel not the sweltering exposition center. 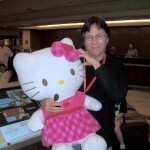 I took my smaller travel Hello Kitty because it was a min con deserved a visit by my mini Hello Kitty. I went out to for breakfast before heading to the convention. The line for pre reg was not bad and I attended the Let talk anime panel. I skipped out to the lip Synch Battle but attended the AMV comedy hour. My only gripe was some of the comedy AMVs were not appropriate for all age’s event. 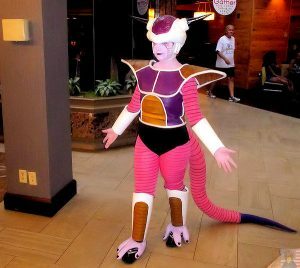 I headed out for diner but decided to go back to the hotel and continue my tradition to stay at the convention and talk to people until the kick us out at 11:00pm. Over all it was a good day. Time to catch up on my convention going post. 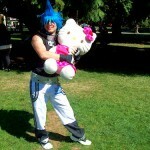 Last two months I as attended both Kumoricon mini-con and Newcon Mini-con. Both were at the Lloyd’s Center Doubletree Inn. Saturday: Got down to the convention site early for the panelist meeting. I pretty much stuck to fan met and greet panes including the random panel of doom, which I was not all impressed even though it was fun. I had confused it with the often renamed panel which was not present this year. I also attended the Kumoricon, Face Book forum meet up Panel before having a seat for the AMV contest and most of the show. I went out to Joes Crab Shack for dinner then did lounged around and spends some time in the video room before calling it a day. Two Weekends Two Cons and One More to Go. I was a busy bear this weekend and the Labor day weekend. 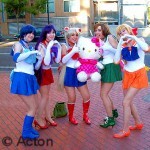 During the Labor Day weekend, I attended Kumoricon the three day Anime convention in Vancover Washington. 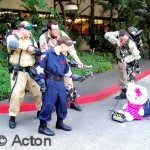 The next weekend I attended Rose City Comic Con. 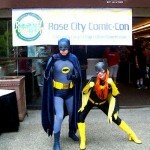 The group for Rose City Comic Con want to bring a San Diego Comic Con style convention to Portland As far as attendance, they’re on very good footing. I took my big Kitty to both and took some pictures. I will share a few. 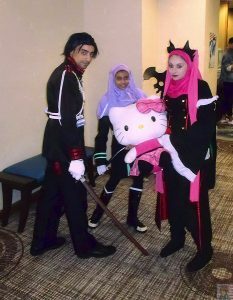 My con report will be coming soon. Next is to prepare for Rainfurrest.